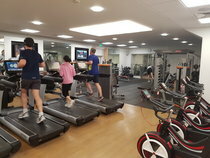 BA Clubs are pleased to announce that exclusive membership fees have been secured with three Sports clubs in the Heathrow area, details of which can be found below. Please contact membership@ba.com for more information and details of how to join. All memberships MUST be processed by the BA Clubs membership team in order to qualify for the preferential rates on offer. From November 1st 2017, BA Clubs Members have the exclusive opportunity to become a member of the Meadhurst club in Sunbury-on-Thames.The Meadhurst club is a private members corporate fitness facility which has provided for the team BP at Sunbury for many years. There are only a limited number of memberships and these will be offered on a first come basis. 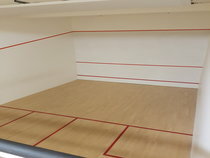 Multi-purpose sports hall for badminton, indoor football and other sports. BA Clubs are the only exclusive corporate partner permitted to join The Meadhurst Club and memberships wll be available to a limited number of BA Clubs members'. Direct Debit memberships of Meadhurst are on a rolling contract and one final full months payment must be paid upon cancellation. Spouses of BA Club members can join the facility on a couples membership if they can provide proof that they live at the same address as their BA Club partner. NB: Membership promotions visible at The Meadhurst Club will not be applicable to BA Club members. Please contact membership@ba.com to join. 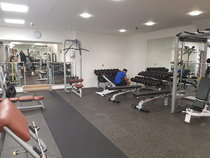 A gym with a good mix of cardio and resistance machines, plus a free weights area and stretching area. First class sports fields include two cricket squares, cricket nets, six grass courts, and an outside bowls green during the summer. Three full size football pitches and 7,and 9 –a-side pitches for youth teams and our hard tennis courts are open all year round. The swimming pool offers swimming lessons for all and aqua aerobic classes. During the school holidays and half terms there is Fun Swim Session twice a day for 7-12 year olds. There is also an outside children’s playground for children up to the age of 9 years. A Health and Beauty department that offers a wide range of treatments from unisex hairdressing to massage and reflexology. Sky and BT Sports showing all of the major sporting events in the members' bar. Plus the Metropol cafe is open daily and serves food cooked to order and snacks. Includes use of the club, café and bars as well as unlimited use of sports facilities including tennis courts as well as pay as you go swimming. Single gym £30 per month. Includes everything in the Bronze package as well as unlimited use of the Swimming pool, Sauna and Gym.